Marian Joan Wise, age 85, of Missoula, peacefully slipped away at her home on Wednesday, Nov. 7, 2018, surrounded by family and dear friends. She was born to Laurren Thomas Wise and Doris Elizabeth Price on January 4, 1933; the second of three daughters. She was raised on a small homestead in Bad Rock Canyon, just outside Glacier National Park. She grew up listening to the sound of the train roaring through the tunnel above the Flathead River, and learned to love the sound of train whistles. She attended grade school at Cornelius Hedges Elementary in Kalispell, and graduated from Flathead High School in 1951. 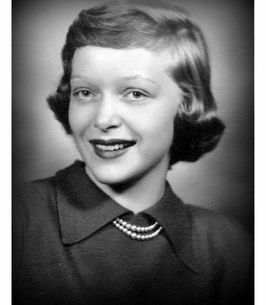 She attended Sacred Heart School of Nursing in Spokane, Washington, graduating in 1954. Marian was blessed with three children: her son Laurren Thomas, named in honor of her late father, was born in Spokane in 1955. Her youngest son Jeffrey Paul was born in Kalispell in 1957, and her daughter Elizabeth Ann was born in 1970, also in Kalispell. She worked in obstetrics at Kalispell General Hospital, where she helped deliver many beautiful babies into the world. She was a member of the Kalispell Jayceens, and volunteered with the Epworth Methodist Church, Cayuse Prairie School, Lonepine State Park Visitor Center, and acted as volunteer coordinator for the Museum at Central School in Kalispell. A lifetime learner, Marian returned to school and graduated from Flathead Valley Community College in 1984. She continued her studies at the University of Montana, earning a bachelor's degree in sociology in 1986, and a master's degree in counseling in 1990. She continued her nursing career at Lakeview Care Center in Bigfork, then served for seven years as house director of the Kappa Kappa Gamma sorority house in Missoula, which she enjoyed greatly. She retired in 2007 at the age of 74 after a distinguished career serving others. Marian loved her home state of Montana, especially Glacier Park, which she visited countless times in her lifetime. Marian enjoyed birdwatching and gardening, and was an accomplished seamstress, having sewn many beautiful quilts, clothes, and embroidered linens for her children and grandchildren. A loving mother and working woman, Marian balanced her family life and career in a time when few women worked outside of the home. She was preceded in death by her eldest sister, Romaine Wise Hazen. She is survived by her sons Laurren Thomas (Tom) Nirider, Jeff Nirider, daughter Elizabeth (Liz) Nirider, granddaughters Laurren Nirider, Lailie O'Keefe, and Hannah O'Keefe, and youngest sister, Bonnie Wise Herron, as well as many beloved friends. A memorial tour in her honor will be held in the spring at the Central School Museum in Kalispell, hosted by her family. To send flowers to the family of Marian Wise, please visit our Heartfelt Sympathies Store.